I have been so excited working on this project! Mostly because it involves several of my favourite things; candles, crochet, and pretty buttons. 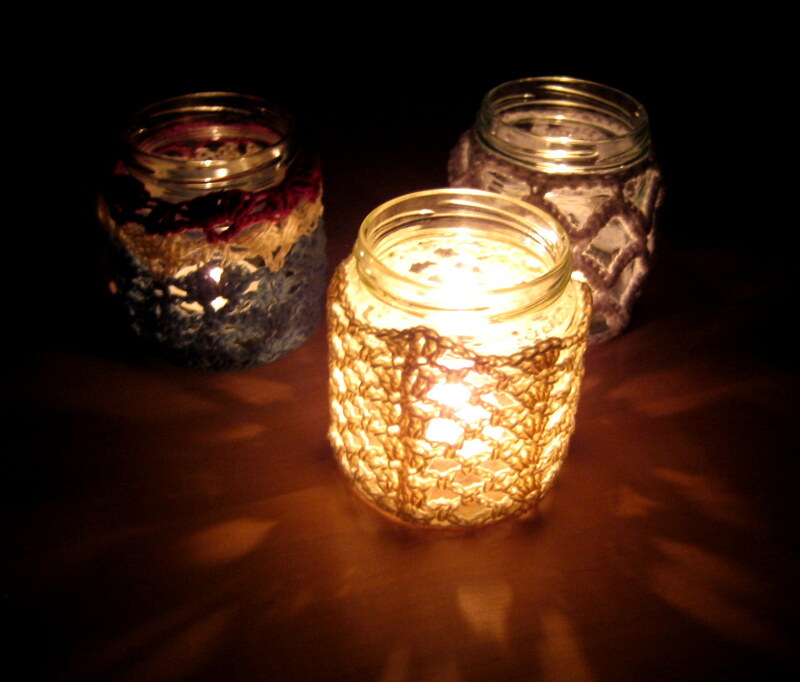 These candles are made using some jars I had lying around after my big jam session a few weeks ago. As you know, I hate waste, and why waste a good jar when (just like those old teacups – remember those?) you can turn it into a candle? 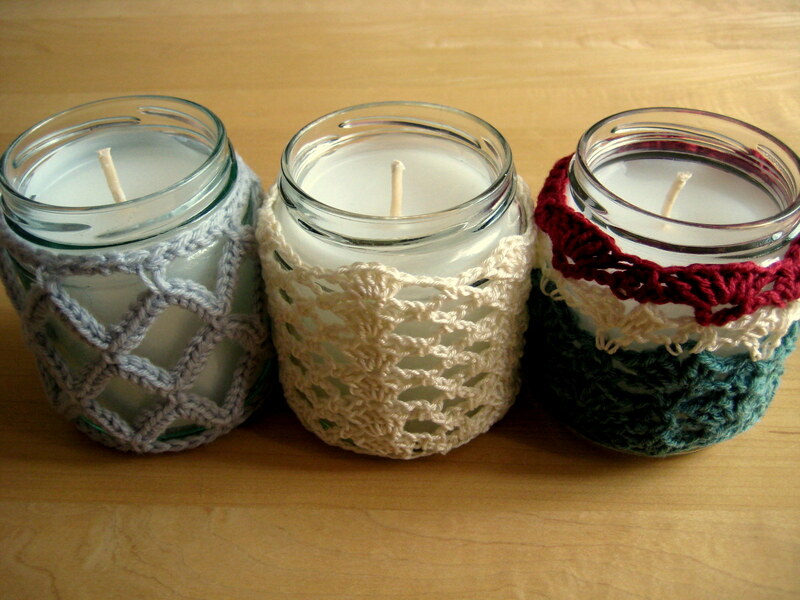 If you prefer you can just use a ready-made jar candle and make a cover for it as per my next few posts! If you are using wax pellets, you may want to add stearic acid to improve the burn time of your candle. I used around 10% stearic acid to 90% wax ratio. You will need around double the volume of wax mixture to your jar depending on the size of pellet, because when it melts it will reduce a lot in volume! I put my wax mix into the jar and the extra into a heatproof jug and melt in the oven at around 150°C. Once melted, remove from the oven and stir in the fragrance, if using. Pop in the wick and top up with most of the wax from the jug, and leave to harden. I put the left over wax back in the oven and then top up my jar with it after the candle has set, because the wax can dip a lot in the middle. I gave my lids a couple of coats of spray paint to match my candles. What have you got lying around that could be turned into an interesting candle?